We know how difficult it is when a loved one dies and we want to help in whatever way we can. 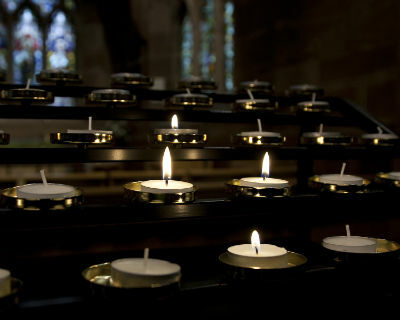 If you would like a funeral service at St Wilfrid’s or would like a member of our Ministry Team to lead a service for you at the Crematorium please inform your funeral director or contact us directly. We will do all we can to accommodate your request. We work closely and professionally with our excellent local funeral directors and those from further afield. 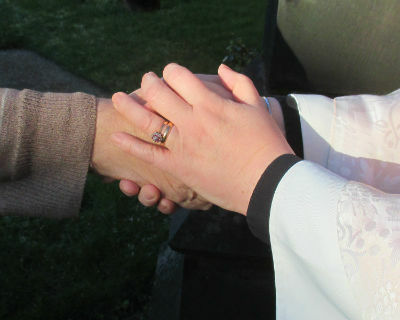 Funeral services at St Wilfrid’s are dignified, warm and personal with the right balance of celebration and solemnity. We aim to be flexible in our approach and to listen carefully to your wishes and to those your loved one may have expressed before their passing. When the date and time of the funeral has been arranged the Rector or a member of the Ministry Team will contact you to arrange a visit. At the visit you will be guided through what to expect at the funeral and asked about what you would like to be included. The Minister can advise you on suitable readings and music. If you have decided to have a printed Order of Service the Minister can liaise with the funeral directors and printers on your behalf. Family members are welcomed and encouraged to take part in the funeral service if they wish. On the other hand some families prefer to ask the Minister to lead all aspects of the service. Either way is fine, every family is different and you need to be comfortable with the service. What is important is a conversation to agree the best way to honour the memory of your loved one in a way that makes you feel supported and comforted. You will be given full contact details and encouraged to get in touch again before the funeral should you have any further requests or questions. 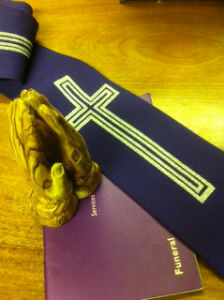 We use the Common Worship liturgy unless families request the Book of Common Prayer. You will be met at the church or crematorium door by the minister leading the service. A procession of the minister, the coffin and family and friends will take you inside. You will be guided through every aspect of the service by the minister and will be treated with respect and compassion. After the service there is the opportunity to have the name of your loved one written in the Book of Remembrance kept on display in the Lady Chapel in church. 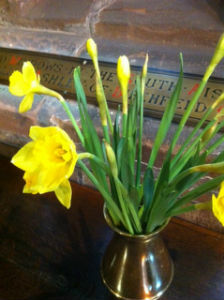 You may also like to make a donation to have flowers in church in their memory. One of our Visiting Team will call to see you about a month after the service and will bring you a copy of the Parish Magazine with the name of your loved one departed in it. In November every year we have a special service to remember those who have died and you will be invited to come along. We are here to support you in your loss and will always offer a listening ear.